It’s still nestcam season and chicks are growing. Some have already fledged and others are just hatching. Keep up with the action right here! NEW!! 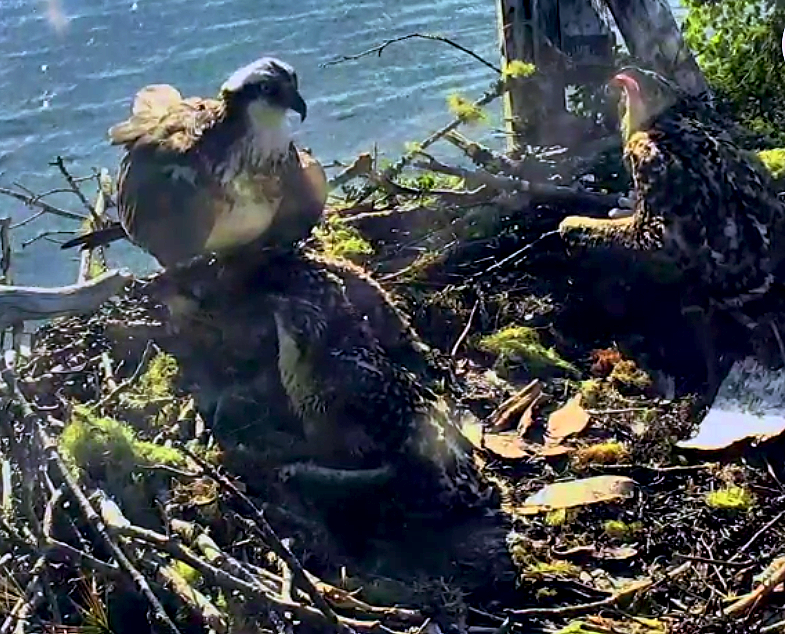 Ospreys, Maine – check in on a nest full of growing chicks! Atlantic Puffins, Maine – hatched! Laysan Albatross, Hawaii – Kalama has fledged! But Pu-unui is still growing! Bermuda Cahow, Bermuda – fledged! Bald Eagle, Iowa – 3 chicks fledged! Ospreys, Montana – There is very sad news to report. At this nesting site, food supplies were limited and the 2 nestlings perished as the parents were unable to feed them.